In the midst of all the fun of baby showers and ultrasounds, one thing that may be overlooked by expectant parents is picking a good pediatrician. Since many families stick with their initial selection until their child is ready to see a general practitioner, the decision on where to go and who to see is a huge one. So what are some of the best places in the Washington DC area? 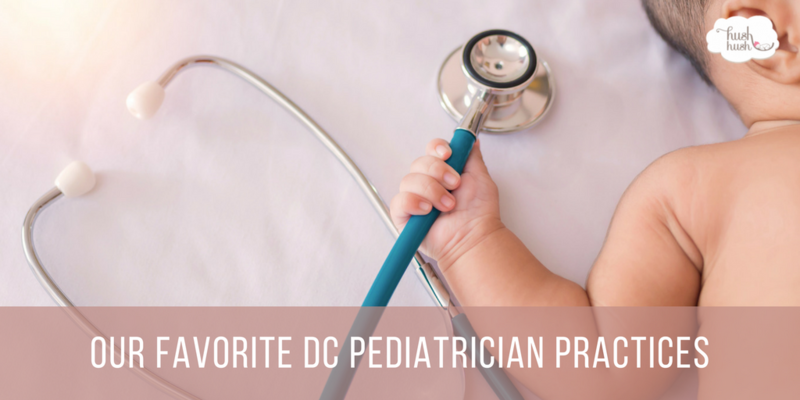 Read on for our picks for favorite DC pediatrician practices. Our first selection on our list of favorite DC pediatrician practices is Spring Valley Pediatrics. This practice was one of the first in the District to be solely focused on the health of newborns, infants, and children. One of the things that make them great is the fact that they are open 365 days a year. As a result, no matter what the issue may be, you know that someone will be available to see your baby and talk you through what is going on. The office space is beautiful and is in an area that is also readily available to patients in Maryland and Virginia. If you are looking for a recommendation on a particular doctor to see at the practice, Dr. Jessica Long would be my pick. Our top pick for DC pediatrician for those living in southeast DC or Virginia is Pediatric Associates of Alexandria. They have two convenient locations near the Kingstowne area of Alexandria, VA and the Potomac Yard region of Arlington, VA. The Potomac Yard office is brand new and is quiet because fewer families are utilizing that location as compared to the office in Alexandria. Both locations have free and convenient parking which makes it a lot easier to get in and out of the office. Check out Dr. Mary Jane Bryant who is one of my favorite pediatricians at their practice. Rounding out our list of favorite DC pediatrician practices are the kind folks at Chevy Chase Pediatric Center. One of the reasons they stand out from the crowd is their commitment to knowing your child and the fact that each child has a particular doctor. They believe this continuity of care allows them to provide personalized treatment because they know your child. For this reason, they provide “get acquainted” visits that allow you and your child to spend some time with their doctor. These visits can help determine which doctor is the right one for you. Finally, they have a lab on site which means that when they need to run tests, you get the results much faster.